Few names in the annals of history can compare in significance with the name of St Vladimir, the Baptizer of Rus, who stands at the beginning of the spiritual destiny of the Russian Church and the Russian Orthodox people. 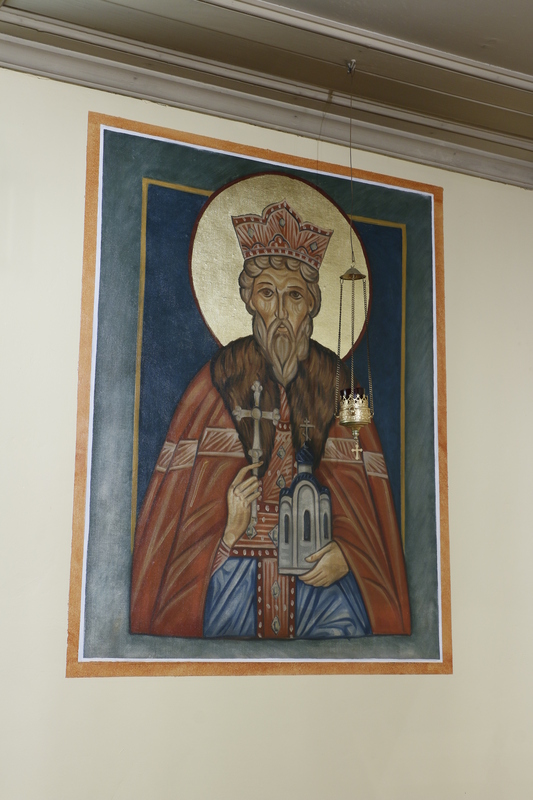 Vladimir was the grandson of St Olga, and he was the son of Svyatoslav (+ 972). St. Vladimir “shepherded his land with truth, valor and reason,” as a good and diligent master, of necessity he extended and defended its boundaries by force of arms, and in returning from military campaigns, he made for his companions and for all Kiev liberal and merry feasts. In the year 988 St. Vladimir accepted Baptism and arranged for his entire kingdom – Kievan Rus – to be taught the Gospel and likewise accept Holy Baptism from missionaries from Orthodox Byzantium (Constantinople). The era of St Vladimir was a crucial period for the formation of Orthodox Rus’ and marks the beginning of the Russian Orthodox Church in 988. His deeds were continued by his descendants – rulers of the Russian land over the course of almost six centuries: from Yaroslav the Wise with the taking of the first steps towards the independent existence of the Russian Church – down to Tsar Feodor Ioannovich, under whom (in 1589) the Russian Orthodox Church became the fifth independent Patriarchate in the family of Orthodox Autocephalous Churches.